Rachel Regan is a REALTOR® on The North Star Team of Long & Foster Real Estate. She is a lifelong Maryland resident, living in Howard County for more than 20 years and enjoying all that the county has to offer. Currently, Rachel lives in Fulton and has three children, all in High School, benefiting from the highly ranked Howard County Public School System. Rachel is also very active in volunteering with the schools and various other organizations. She delivers a broad range of services for her clients and her desire to exceed her clients' expectations necessitates her complete commitment to them in each and every real estate transaction. She has extensive experience in client-based services where she has proven to excel! Rachel is a graduate of the University of Maryland and holds a Master's Degree from George Washington University. 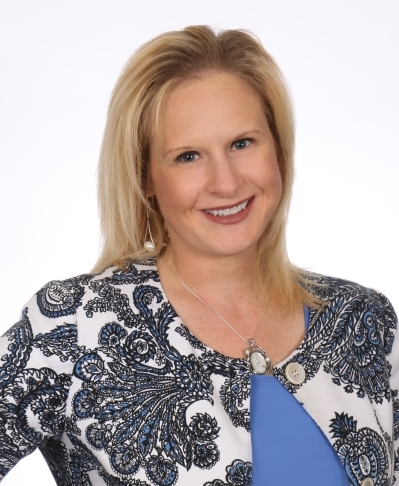 Rachel is a CNE® (Certified Negotiation Expert), ABR® (Accredited Buyer Representative), MRP® (Military Relocation Professional) and MilRes (Military Residential Specialist). Rachel is also a member of the National Association of REALTORS®, the Maryland Association of REALTORS®, and the Howard County Association of REALTORS®. This stunning 3 bed/3.5 bath end unit town home shows like a new model home. Main level includes hardwood floors, breakfast room and sunroom, living room and dining room and guest bath. Slider tospacious deck. Upper level features large master bedroom with adjoining sitting room and private bath. Additional two bedrooms and full bath. Lowest level is fully finished with great room and bonus room which could be additional bedroom//den or office. Lower level patio and much more Warranty included! Why wait for new construction when this home could be yours today? "Rachel found a wonderful home for me in Shipley's Grant. She saved me $7000 from the list price and legal fees! She was prompt and efficient. She has good taste. She mentions all the details that a new homeowner should know about (such as leaving the door of a front loader open between uses). She knows about (and has good references for) services that prospective homeowners need to know about-such as inspections, title companies, loan officers and agencies, movers etc. I highly recommend her for all of your real estate transactions"
"Rachel was a pleasure to work with as my real estate agent. I was referred to Rachel by my former neighbors who spoke very highly of her. Being that this was the first time I have ever sold a home, Rachel helped me through this complicated process. Rachel is VERY knowledgeable and taught me the ins and outs of selling a home. She is very patient, courteous, professional and made herself available for contractors etc.. even when I was unavailable due to my work schedule or other obligations. I highly recommend Rachel Regan for any future real estate needs!" "I just wanted to take this opportunity to thank you for all of your efforts in helping me sell my mother's apartment. You were a tremendous help in finding reputable companies that painted the apartment and renewed the flooring.. You were able to help establish a selling price for the apartment. Your advice on how to deal with client offers was very valuable. Your attention to detail and your help in staging the property and then in making sure the repairs and fixes were done in a reasonable time frame were invaluable. Your efforts saved me much anguish. Thank you for treating my mothers property with the dignity that it deserved. I would be delighted to recommend your services to others."